IRSA Publishing House has published the proceedings of the 2013 CIHA colloquium held at the Otsuka Museum of Art in Naruto, Japan, on 15–18 January. It was organized by the Japanese Committee for CIHA, the Otsuka Museum of Art, and the Japan Art History Society, sponsored by the Otsuka Fine Arts Foundation and the Kajima Foundation for the Arts, and supported through special collaboration with the University of Tokyo. The main organizer and the supervisor of the publication is professor Shigetoshi Osano from the University of Tokyo. At the Naruto colloquium, the term “reproduction” was interpreted in the broadest sense, encompassing the notions of copy, replica, remake, and even the fake. Despite the centrality of this topic, no international congress or colloquium held by CIHA had addressed reproductions in a comprehensive manner from a global perspective. In sum, the colloquium aimed to re-examine and deepen exploration of the issues surrounding reproduction. 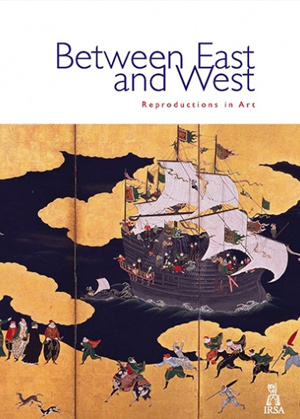 Its purview included not only Western art but also that of Japan and East Asia, encompassing comparative and cross-cultural studies in art history. It also addressed corollary issues such as authenticity and originality, aiming both to re-examine and define them more clearly. The ultimate goal was to re-evaluate the notion of reproduction and assess with greater precision its status within the art of the past and the present.